Last week the internet lost its collective mind over the trailer for Captain America: Civil War. 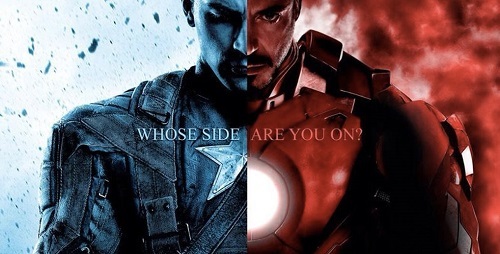 Critics and media experts, alike, took to their mediums to see who could twitch out the most original (but still exceedingly derivative) explanation for what a big deal it is for the MCU to take on the Marvel Civil War. As I watched the trailer, I thought about three things. First, what drugs does a person have to be on to think this trailer heralds the best movie ever? Second, where can I get some of those drugs? Third, at what point in the movie will Cap take Bucky to a redneck bar for a little slow dancing. There is no way I’m the only person looking at this trailer and seeing superheroes so far in the closet they are finding last year’s Christmas presents. So with all due deference to slash-fic enthusiasts, who are rightly torqued up by the trailer, I’m left to wonder what the hell the rest of you are so excited about? For a movie styling itself as the MCU’s answer to the Marvel Civil War, I don’t think I could imagine a more incipit approach to telling its story. Cap wants to save Bucky, a character who sucked so hard he stayed dead for decades, from the evil forces of the Federal Government. Wow, that conveys so much of the nuance and depth found within the actual Civil War story arc. Even if Bucky single-handedly manages to destroy Stamford (or commit some other act of domestic terror), thus creating a climate of unprecedented political fear, where the powers that be institute a systematic defrocking of costumed super-heroes and their subsequent regulation under SHIELD, none of that is coming through the trailer. The Marvel Civil War is a discussion of the 9/11 terror attacks and America’s response in the years that followed. Through the safety of the comic book lens, the long arc of the Civil War asks fundamental questions that put the security of the state and the rights of the individual at odds with each other. These questions aren’t merely the source of some man-pain. The Civil War destroys families and lives. It creates strange bedfellows where Captain America, champion of the anti-registration movement, teams up with known murder and libertarian poster-boy Frank Castle. The Fantastic Four break-up because Reed Richards comes on side with Tony Stark and the pro-registration supporters. Peter Parker throws away his mask before going corporate. 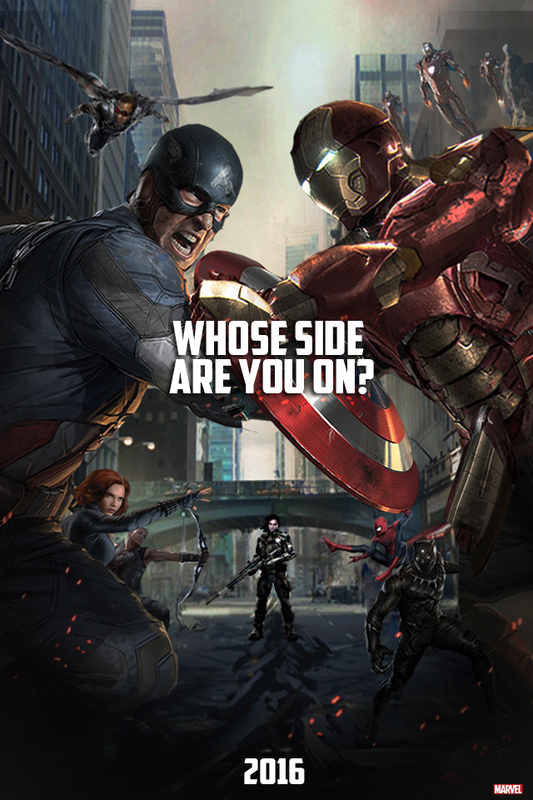 Who looks at the Cap: Civil War trailer and sees anything nearly so sophisticated? And please understand, I’m not asking this to play the role of an angry comic book nerd, outraged about a movie diverging from the source material. The MCU need not adhere to the comic book canon. The issue here is the banal way Disney/Marvel insists on dumbing down the MCU on the big screen (because Big Bucks, Big Bucks, no Whammies). Surely to god there is room for some grown-up story telling in these movies. Daredevil makes gentrification exciting. Jessica Jones invites us to think long and hard about systemic bias against sexual assault survivors. Is it really too much to expect quality writers like Anthony and Joe Russo to raise the discourse in the movies beyond the level of a beef between bros? Apparently, yes. In expecting the movie-arm of the MCU to give me something smart-ish, I might as well be asking for a Ken Burns documentary of the Superhero Registration Act. Actually, that doesn’t sound half bad. I would watch the hell out of that. So I guess the takeaway for this takedown is two-fold. One, this trailer boasts so much man-pouting and unrequited dude-love that I could probably layer over the dialogue from a Brokeback Mountain trailer and still make it work. Two, my expectations of superhero movies are unrealistic. I’d probably be happier with them if I could enjoy what I’m given. In this regard, I’m likely not normal. Spare me any comments along those lines. I get it.